With Fun. being inactive at the moment, Nate Ruess has been working hard on Grand Romantic. 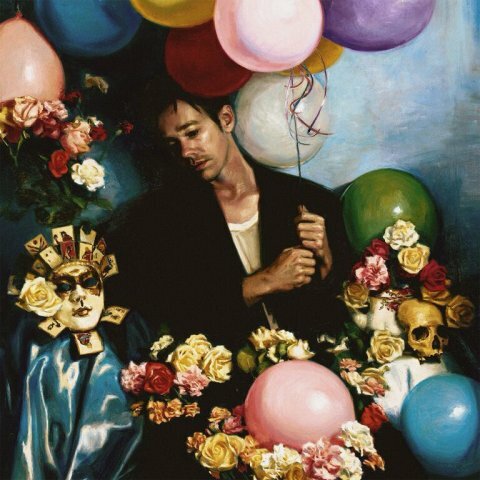 The album will not disappoint any fans of Ruess’ previous work as the album is filled with his introspective and often heart-breaking lyrics and signature sound. The album starts off in a similar fashion that Some Nights did with an intro/teaser titled after the album. After the intro, “AhHa” also makes references to Ruess’ previous work by sampling “Some Nights” before the choruses. While the rough laughter may be my least favorite part of the album, it is craftily used after the softest part of the song and brings it to an abrupt halt. As the song stops, so does the energy as the next song, “Nothing Without Love” starts off with vocals accompanied only by a piano with lyrics that hit hard. “Take It Back” is stripped of the electronic sounds or choir-esque back up vocals, which are replaced with record pops and cracks that make the track seem even more authentic, much like the later tracks “Moment,” and “It Only Gets Worse.” However, “Take It Back” seems even more honest and heart-wrenching as he sings about lonely nights after declaring, in the previous track, that he is “nothing without love.” The track’s powerful ballad-like feeling is immediately thrown out the window as the next track, “You Light My Fire,” has an upbeat 80’s feel that is reminiscent of A-ha’s “Take On Me” and yes, I whipped out my signature “Take On Me” dance while listening to this track. The difference in sound makes this track stand out as it is the second and final upbeat song on the album. Next up is “What This World Is Coming To” which kicks off with lyrics of love lost because of tabloids. Nate is later joined by Beck and their voices mesh in glorious harmony. 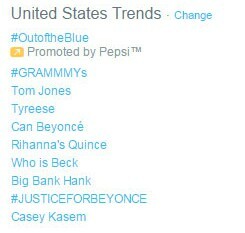 Yes, Beck. That guy who you may know from his 1993 hit “Loser.” If not, you’ll know him as “that guy that nobody knew at the Grammys this year.” In fact, this song was recorded a week before the Grammys and, according to a post on Nate Ruess’ Facebook page, you can hear Nate “meowing” the guitar solos in the background while Beck plays. Title track, “Grand Romantic,” has lyrics that are great to scream along to in your bedroom when you’re mad at that person on your mind all the time and is currently on the top of my “I Am Sad And Need To Yell Relatable Lyrics For A Few Hours” playlist (yes, it’s a real playlist). This song goes to show how versatile Nate’s voice is as it starts off as a ballad, grows more powerful until he’s yelling his lyrics, but then he goes back to softly lead the triumphant sounding ending-of-a-disney-movie choir to the close of the song and what ultimately sounds what should be the end of the album. However, it is followed by two more songs where he declares “we all got scars” atop a sobering track which brings the album to a close with a feeling of acceptance that maybe not being okay is okay sometimes. The last few tracks are reminiscent of Some Nights‘ “All Alright” and I believe that, after this success of an album, Nate will also be all alright with a solo career as Fun.’s fate is uncertain. I am extremely excited to hear more from him and I look forward to listening to these songs at 3am. Goes Well With A Side Of: The Format, Fun., Foxing, Being Alone And Sad At 3am And Just Need To Cry. I’m not crying, you’re crying.